While it might feel extravagant to invest in a pair of luxury pyjamas, a matching silk or monogrammed set is the ultimate winter indulgence, given that all we want to do is hibernate. Whether you treat someone to a new set this year or are looking to upgrade your own pyjama drawer, we have compiled a guide to the new pj brands achieving cult status. The blogger set's Instagram pictures of themselves in their perfectly styled pj's, almost as often as they post an avo on toast shot, and have in doing so helped to propel the profiles of sleepwear brands like Yolke and Olivia von Halle. Martha Ward, Pandora Sykes, Camille Charrière and more have signed on as "Yolke girls," modelling their favourite sets at home, while celebrities including Kate Moss and Poppy Delevingne are known to sleep in Olivia von Halle. These labels all create sleepwear which can slot into your everyday wardrobes, as you can wear many of these pyjama tops as a blouse out of the house. But even if you plan on wearing yours for nothing but sleeping, we reckon anything that helps you achieve a perfect night sleep is a wise investment. Scroll through the gallery below to meet six of the key pyjama brands—and of course shop the best sets. Yolke was founded by two friends, Ella Ringner and Anna Williamson, and is one of the key labels designing sleepwear to be worn around the clock. It has collaborated on a range with Whistles, and it has teamed up with the Instagram crowd, including Martha Ward, Pandora Sykes and Monica Ainley. 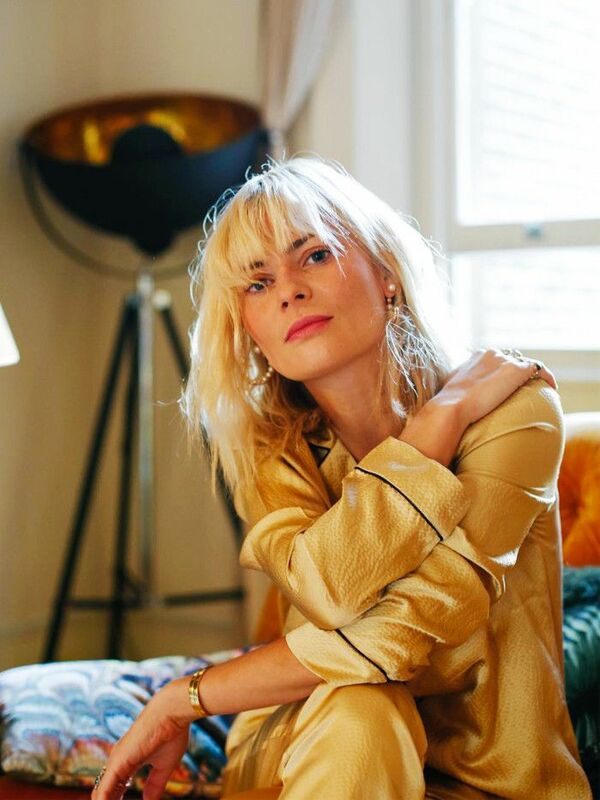 Everyone from Kate Moss to Poppy Delevingne has been spotted wearing London designer Olivia von Halle's silky pyjama sets, which are inspired by Coco Chanel's luxurious loungewear. American sleepwear brand Sleepy Jones creates classic jammies—think bold stripes, red-and-white checks and chintzy florals. It takes inspiration from the designers who worked in their pj's and robes, such as Picasso. Italian tailoring is at the heart of Morpho + Luna, and so the brand's sets are some of the smartest around. The label was founded in 2014 by Cécile Gavazzi Daccò & Carola Botto Poala Voli, and it creates exactly the kind of pj's you want to hibernate in until April. For Restless Sleepers sets are the height of luxury, with rich, decadent prints. All of the pieces are designed to be mixed into an everyday wardrobe, and so the printed pyjama bottoms and belted wrap robes have become street style favourites. Sleeper has an impressive fan club, with the likes of Leandra Medine, Veronika Heilbrunner and Pandora Sykes wearing its pyjama sets both to sleep and for everything else. The brand was founded by two former Ukraine-based magazine editors who came up with the idea of a "walking sleepwear" label on Christmas Eve in 2014.